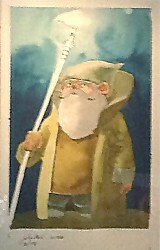 George Lucas believes in education and has created a foundation to support and encourage learning at all levels. 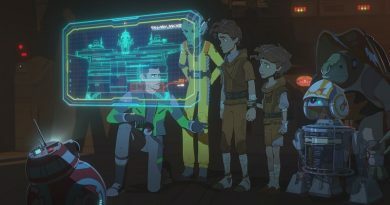 When Montreal-based X3 Productions proposed an exhibit that would teach a variety of science subjects to all age groups using Star Wars as a framework, Mr. Lucas and the staff at Lucasfilm Exhibits were immediately excited about the project. A green light to create Star Wars Identities gave the innovators from X3 an all-access pass to the Lucas vaults – and after paying homage to Yoda at the Presidio – they staged an incursion worthy of Tusken raiders. 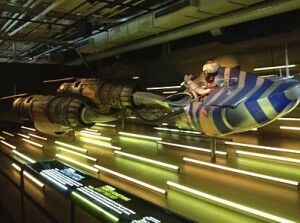 Montreal’s Science Centre is now host to some of the most treasured memorabilia in Star Wars history. 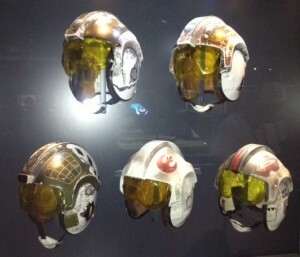 The items on display are the real thing: costumes worn by actors from the original trilogy and prequel films (including Harrison Ford, Carrie Fisher, Mark Hamill, David Prowse, Peter Mayhew, Anthony Daniels, Kenny Baker, Jeremy Bulloch, Hayden Christensen, Natalie Portman, and Jake Lloyd); original drawings that show the development of Yoda’s appearance long before the first model was created; animation drafts and figures from The Clone Wars television series; as well as Boba Fett and Imperial trooper armor from every era. 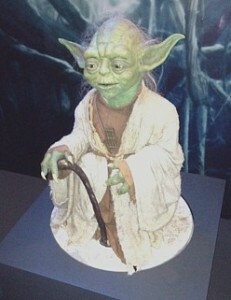 Avid fans may linger in front of the Yoda puppet used by Frank Oz for the Dagobah scenes in the Empire Strikes Back or Anakin Skywalker’s full-size pod racer, and scrutinize the details of the original model for the Millennium Falcon. Some are so entertained by these iconic artifacts that they may enjoy the educational experience that is served alongside the wealth of eye candy and not realize until later just how much they learned. As you enter Star Wars Identities you are given a remote audio device that allows you to hear short, informative lessons based in a particular area of science (e.g., biology, sociology, anthropology, or psychology). Each of the audio messages is accompanied by video – most are portions of a Star Wars movie – designed to engage visitors in the exhibit’s educational component. The science is not only real, it is relevant in both the Star Wars galaxy and our own universe. 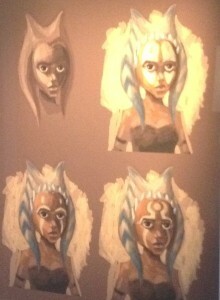 The exhibit explores key aspects of Star Wars characters: who are they, who would they like to be, what events and which people influence their lives, what do they like to do, and what kinds of choices do they tend to make. In so doing, it is also asking you to examine your own traits. 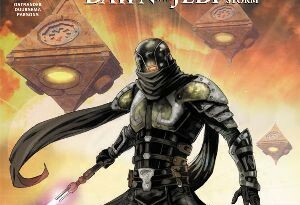 Starting with the Tatooine origins but different trajectories of the lives of Anakin and Luke Skywalker, we see how biology, environment, circumstances, friends, enemies, and choices can change lives in the Star Wars universe as well as our own. The interactive Q&A that guides visitors through the exhibit makes learning and self-assessment not only palatable but entertaining in a way that is purely Star Wars. The final “station” (Q&A point) brings you face-to-face with Emperor Palpatine, who offers the ultimate temptation. “All you have to do is choose” and your profile will be complete. Yes, your profile. There is a reward for taking the time to absorb science lessons in this interesting atmosphere: your choices and question responses are recorded, and then assembled into a Star Wars character that is purely you. 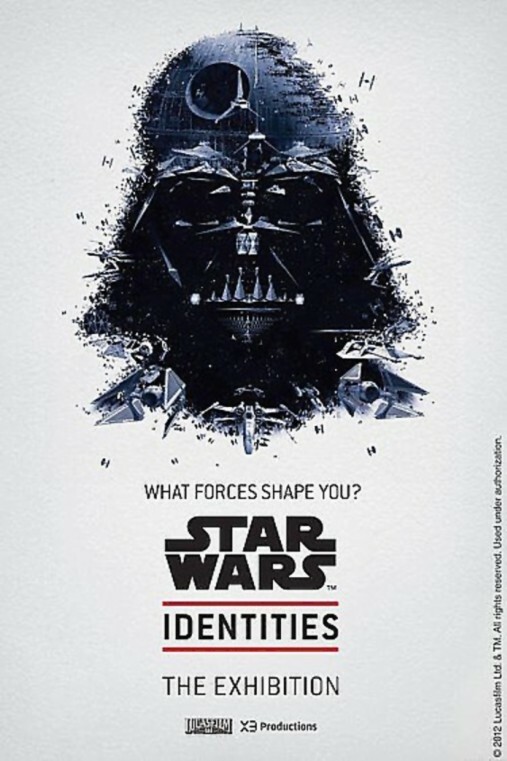 If you wish, your new identity can be uploaded into the vast Star Wars galactic census. Provide an email address, and your character profile is sent to you. There begins the less public, more long-term learning experience: if you are honest in responding to the exhibit, your personality summary is a valid, science-based opportunity to increase self-awareness and to learn about the role that making good choices plays in your life. One piece of advice: Star Wars Identities requests that you input your (first) name. It appears that most visitors automatically enter their real names, but why not dream up something that sounds like an exotic Star Wars character? After all, it will be your alias in another galaxy for all time. 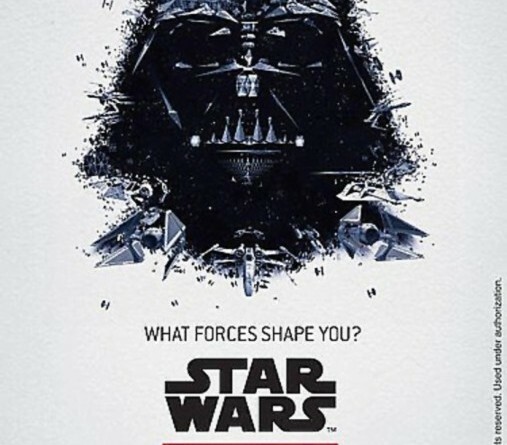 Due to popular demand, the Montreal Science Center extended the Star Wars Identities’ hours of operation twice during its first month, adding twenty hours of public access per week to the exhibit’s original schedule. For more information: go to starwarsidentities.com and montrealsciencecentre.com Due to the number of sold out dates, advance ticket purchase is advised. 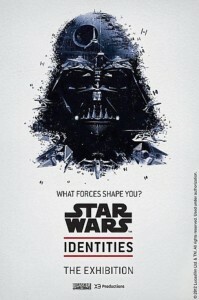 Star Wars Identities continues in Montreal until September 16, 2012. 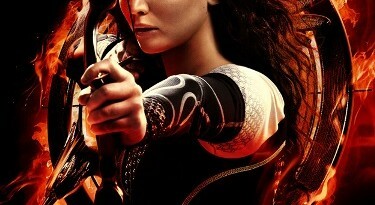 The exhibit will then move to Edmonton, Alberta, Canada in 2013, and tour Europe, Latin America, and Asia. There are currently no scheduled dates for Identities to appear in the United States. Mary Margaret Sheridan left the chaos of Trauma Nursing in pursuit of Jedi-like calm and tranquility. She hasn’t found that yet but occasionally has zen moments working as a multi-media artist, and also enjoys stringing words together into short stories. Mary lives on two forested acres north of the 40th parallel, west of 90o meridian. In the Star Wars galaxy, Mary is perplexed to find herself in the role of a somewhat reckless Kaminoan who left the drudgery of working in her homeworld’s cloning facility only to stumble into slavery on Nar Shaddaa. She somehow combined her sense of adventure with virtual piloting skills learned through a holonet course to fly to victory in a pod race, thereby earning freedom from the Hutts. Ultimately, Mary became an X-wing ace by applying to theAllianceflight academy at a time when pilots were in short supply. A starfighter was highly modified to accommodate her 2.3-meter height. Despite feeling quite vulnerable inside the much taller cockpit canopy, Mary exhibits strong Kaminoan work ethic, employing an intense daily exercise regiment to maintain the strength required to fight extreme atmospheric drag on her ship. Nevertheless, she has no plans to retire. In a strange twist of fate, Mary’s best friend is a tawny-furred Ewok named Gabriel who also flies a modified X-wing. She has yet to discover whether Gabriel has any relatives named Kettch. ← Date Night with Star Wars Characters: It’s a Trap! This sounds like this may be the best Star Wars science museum exhibit ever. I really hope they make plans for the US too. Everyone should get a shot at this. 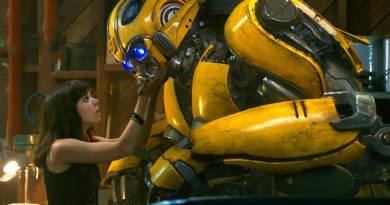 Great write-up, Mary!